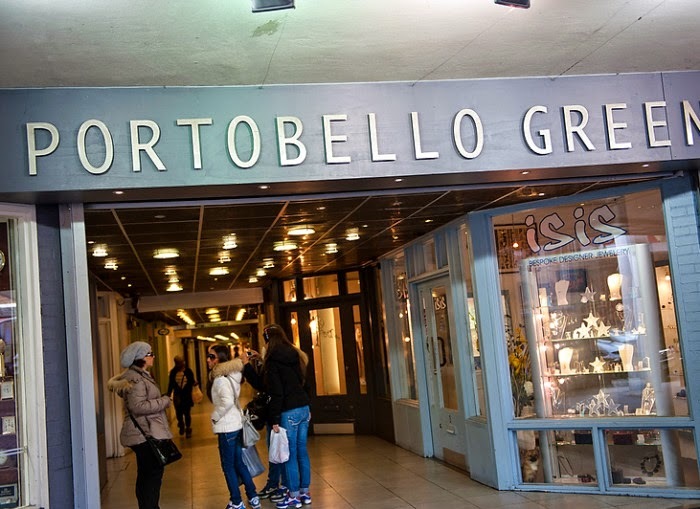 Portobello Square is a large-scale one-off regeneration project between Notting Hill and Ladbroke Grove, an area famous for its eclectic style and diverse community. 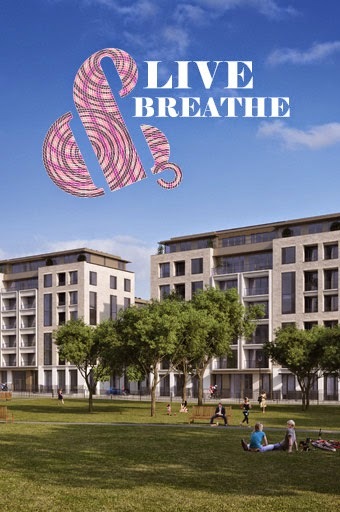 Recognised for its strong sustainability ethos and distinctive contemporary architecture, the development will comprise stylish apartments, town houses and mews houses as well as new shops, cafes and restaurants and a large communal park at its heart. 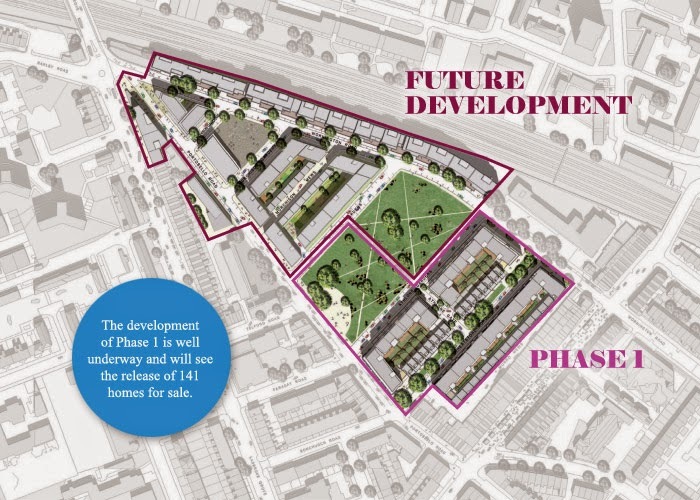 The development of Phase 1 is now underway and will see the release of 141 homes for sale. Accommodation will include one, two and three bedroom apartments, eight three bedroom mews houses and 16 four bedroom family town houses. 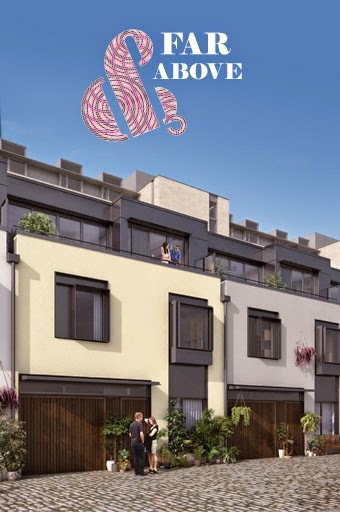 Portobello Square is a regeneration project with a clear and distinct vision – to improve and retain all that is best of this vibrant neighbourhood whilst enhancing the local area with contemporary design. 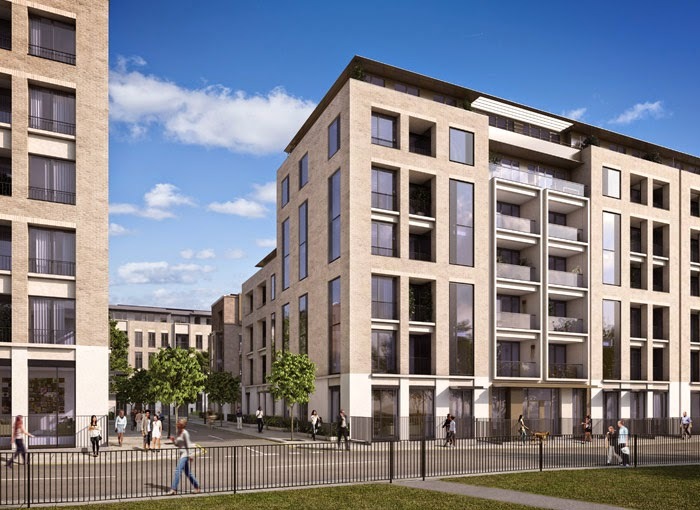 This high-profile scheme between Notting Hill Gate and Ladbroke Grove, when finished, will include nearly 50% of properties available for private sale. 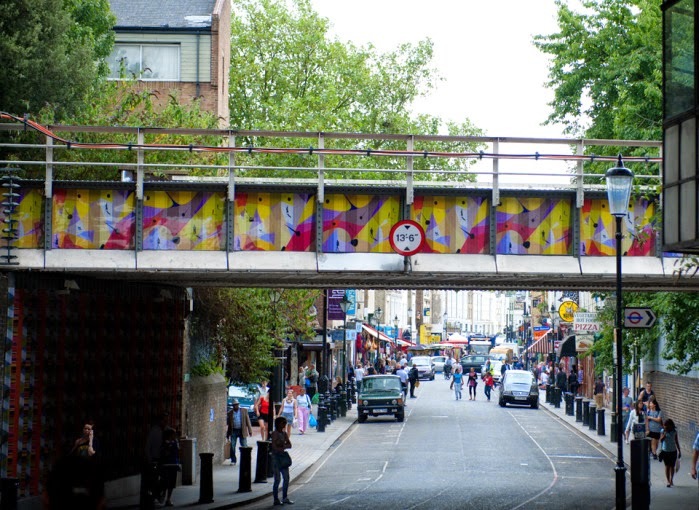 An integral element of the project has been to restore old street patterns, reintroducing the link to the historic Portobello Road, allowing the development to fit seamlessly within what is already a bustling and lively urban area. 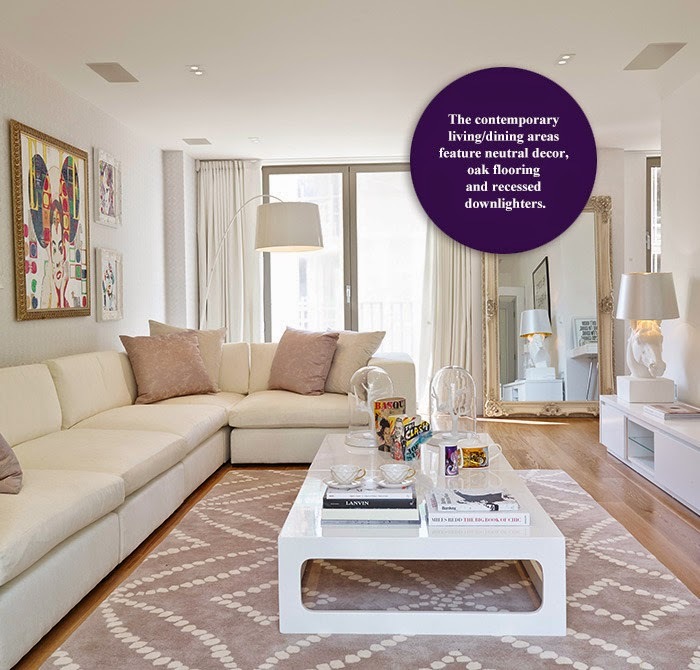 The importance of open spaces was recognised from the outset and careful consideration has been made to ensure that all of the apartments have access to some private outdoor space. This will either be in the form of balconies, terraces or gardens. 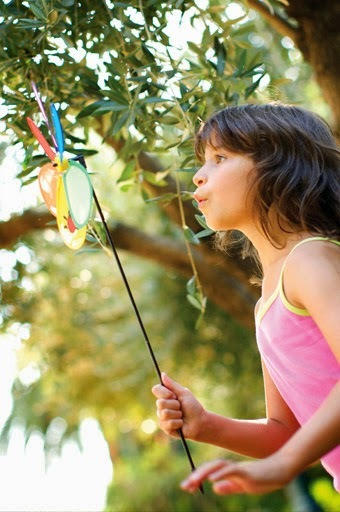 Portobello Square will also benefit from a new communal park at its heart, providing a space for leisure and relaxation, as well as play facilities for young children. 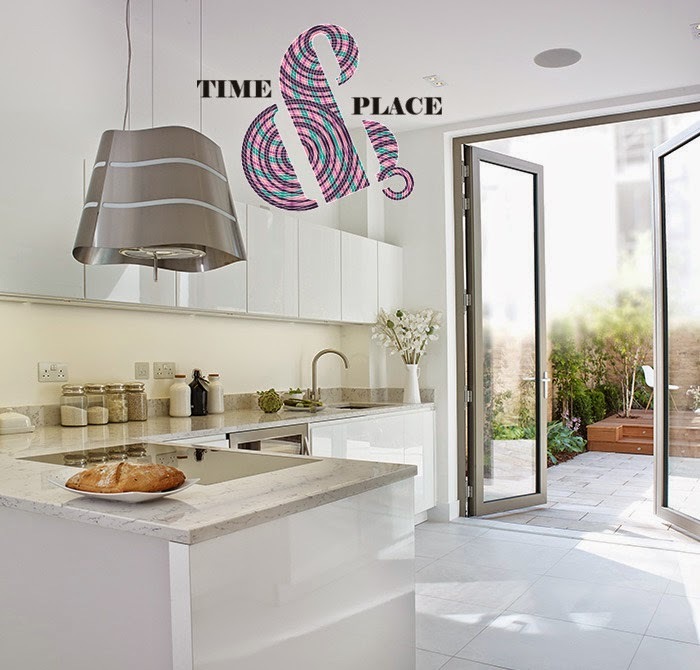 Considerable thought has gone into the design and planning of the development to ensure that Portobello Square has a strong sustainability profile. 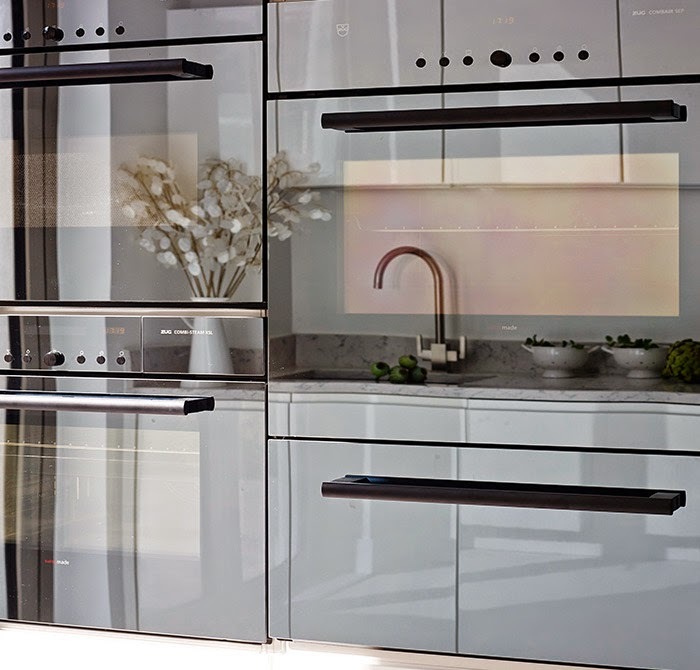 Energy and water saving features and methods of reducing waste and pollution have been incorporated both in the development as a whole and also for each individual property. 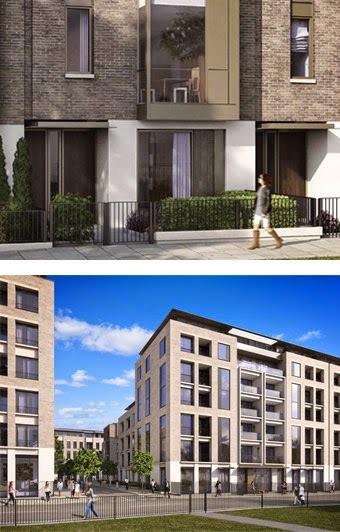 Other key elements built into the design focus on reducing the impact on the local environment such as retaining the mature trees in Wheatstone Road and ensuring there are lots of green spaces available throughout the development. 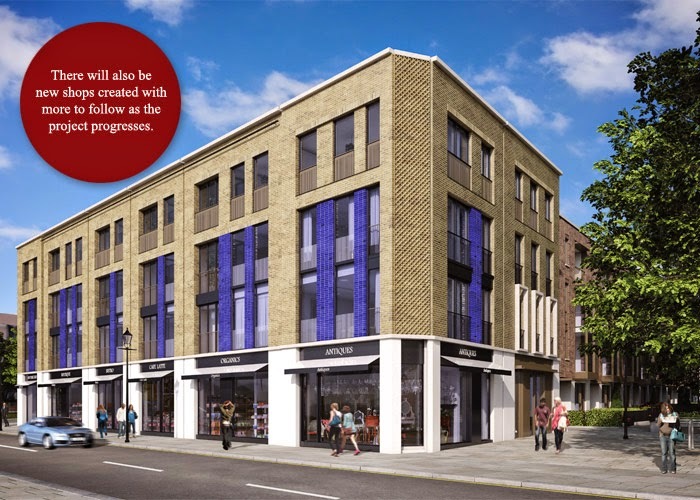 The next eight years will witness remarkable change in the area surrounding Portobello Square as the development gets underway and the historic street patterns are restored. It’s a far cry from the area’s original humble beginnings when it was part of the Great Forest of Middlesex, an ancient woodland that was inhabited by stags, does, boars and wild bulls. By the middle of the 15th century the forest had been cleared and replaced with meadows and farmland. This area of land was later seized in 1543 by Henry VIII. The area continued as farmland up until the 1870s with the shops and houses of Notting Hill (then known as the Kensington Gravel Pits) only extending as far as Elgin Crescent and farmland continuing north beyond that point right up to the village of Kensal Green on the Harrow Road. 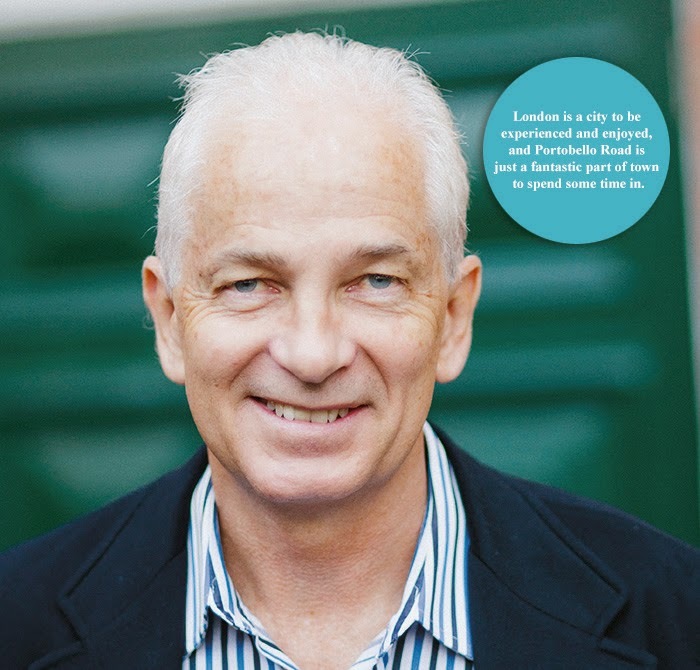 At this time Portobello Road was simply a rough country track known as Portobello Lane although by 1880, Portobello Lane was beginning to be lined with shops and regular fruit and vegetable traders. The rural character of the area began to change with the opening of the Grand Union canal in 1801 and the Great Western Railway in 1838 both helping to define the northern and western boundaries of the Golborne area. By 1850 Kensal New Town was largely formed and was known as a ‘laundry colony’ as this was the main occupation of the neighbourhood. The population was predominantly Irish at this time. Before the 1870s Golborne Road was just a footpath leading from Portobello Road to Kensal Road but it was now planted with trees and called Britannia Road after a pub of that name. 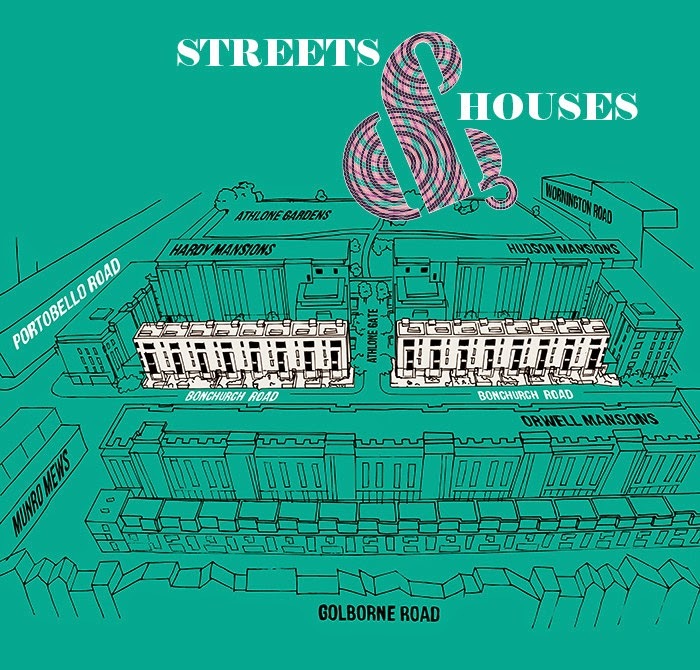 Later the trees were cut down and the road was firstly renamed Golborne and then Golborne Road. The population and growth of shops, houses and pubs grew rapidly in the 1870s and 1880s. 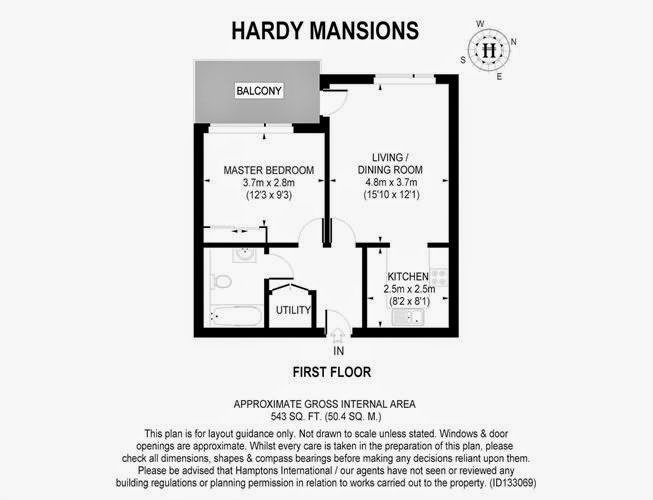 By 1890 the area was covered by traditional Victorian terraced streets with both Portobello Road and Wornington Road linked to Ladbroke Grove, however the growing population quickly exceeded the housing availability so that by 1903 the area was full of slums. This all changed in the 60s and 70s when the slums were cleared and new developments built including the Wornington Green estate (the site of Portobello Square) and Trellik Tower. It was during this time that the road linking Wornington Road to Ladbroke Grove was blocked off to vehicles. Since then the wider area has attracted many newcomers creating the vibrant, culturally diverse character for which it is famous. Spanish and Portuguese rub shoulders with people from Somalia, Eritrea and the Sudan and it has become home to the largest Moroccan population in England with many of them settling in the Golborne area. 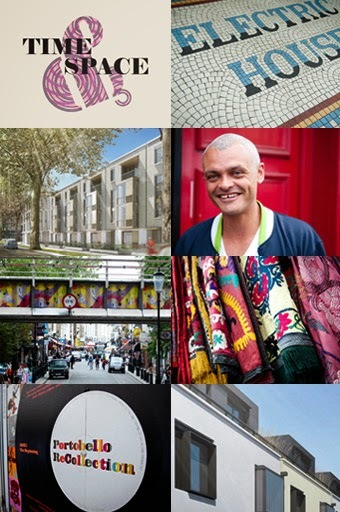 Portobello Square has been recognised for its superior design gaining a prestigious Housing Design Award for PRP architects. 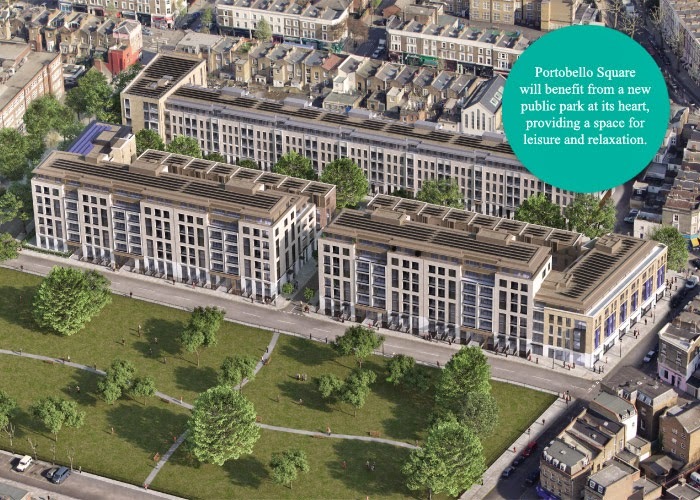 In July 2011, PRP Architects was commended for its work on Portobello Square, which included creating the masterplan for the overall development as well as the detailed design of Phase 1. Judges at the Awards particularly praised the high quality detailing and materials, which have been applied throughout, which capture the quality and vibrancy of the local vernacular. 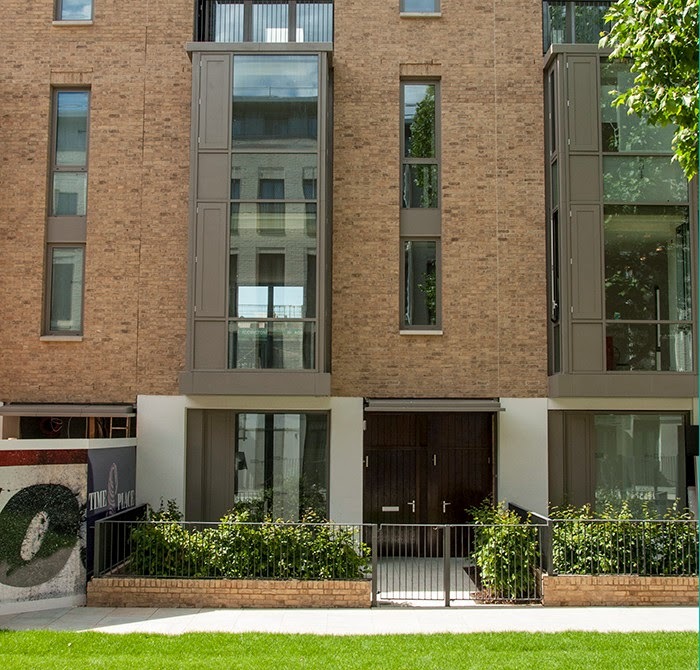 "The final design solution is the culmination of years of investment by the Catalyst team, the Local Authority, residents and the local community working together with PRP, and it is fantastic that the detailed design of Portobello Square has been recognised with a Housing Design Award. 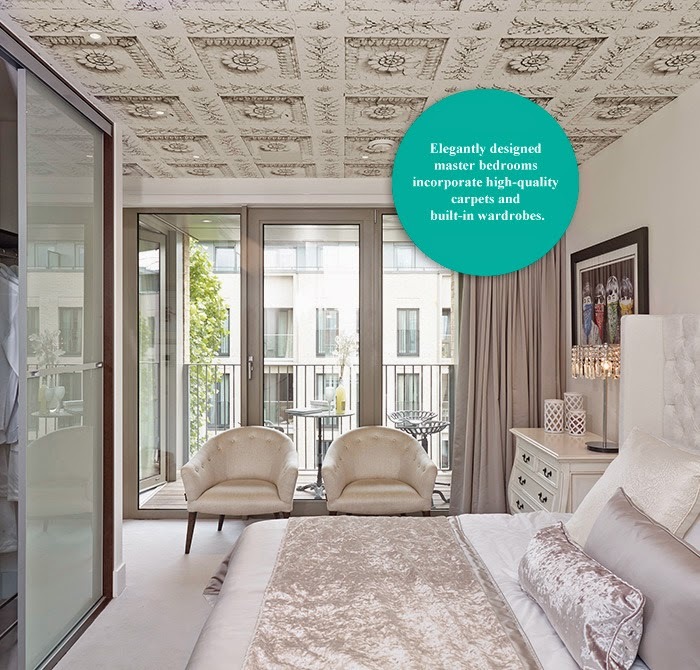 We placed great emphasis on design quality and ensuring the scale and appearance of the scheme relates to the adjacent historic conservation area." 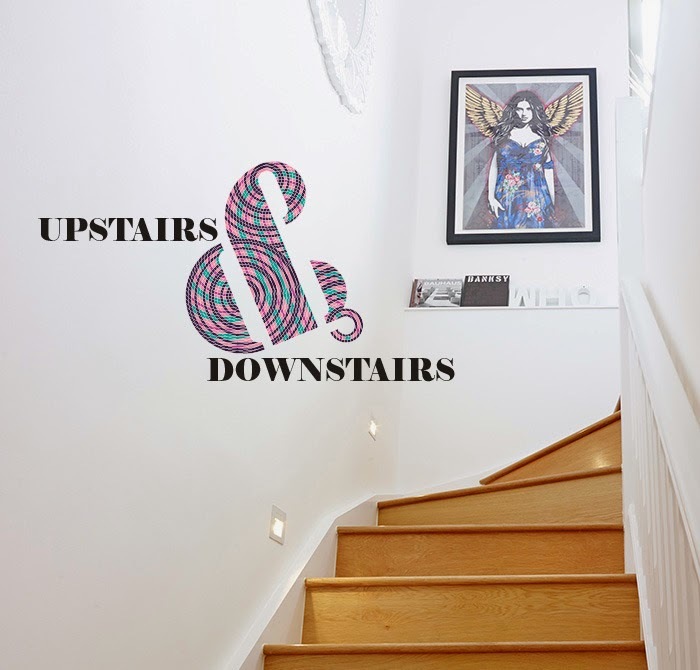 "PRP was seeking to re-establish the historic Victorian street grain of North Kensington, to re-stitch the new streets back into the existing local fabric and make reference to the adjoining Oxford Gardens conservation area. A local palette of materials has been used and a ‘crafted’ approach taken to the proportions and detail of the street facades. 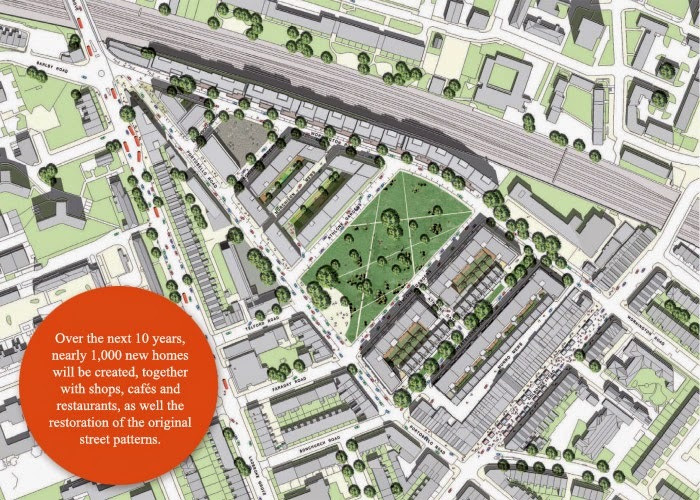 Portobello Square is a modern interpretation of the rich Victorian context in which it sits." 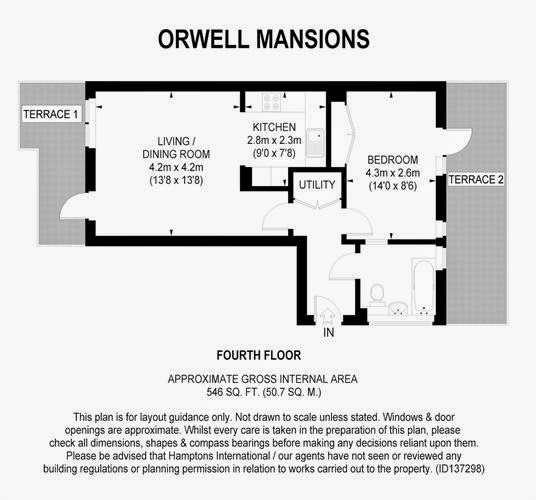 The development of Phase 1 is well underway and most residents have now moved into their new homes at Orwell Mansions. 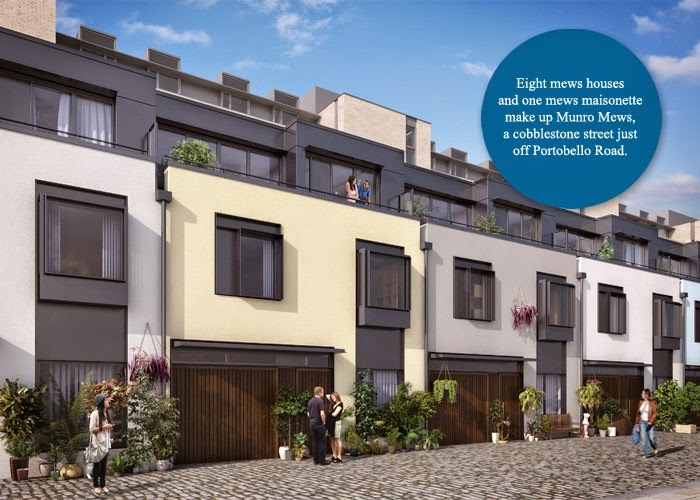 Phase 1 will see the release of 141 homes for sale with the accommodation varying between one, two and three bedroom apartments, eight stylish three bedroom mews houses and 16 impressive four bedroom family town houses. 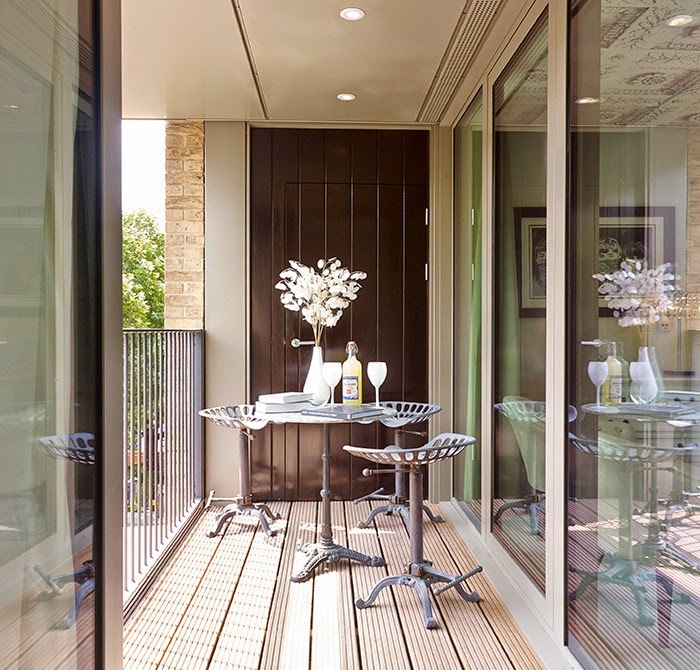 All the apartments at Portobello Square are beautifully designed to maximise space, with high quality detailing and materials. 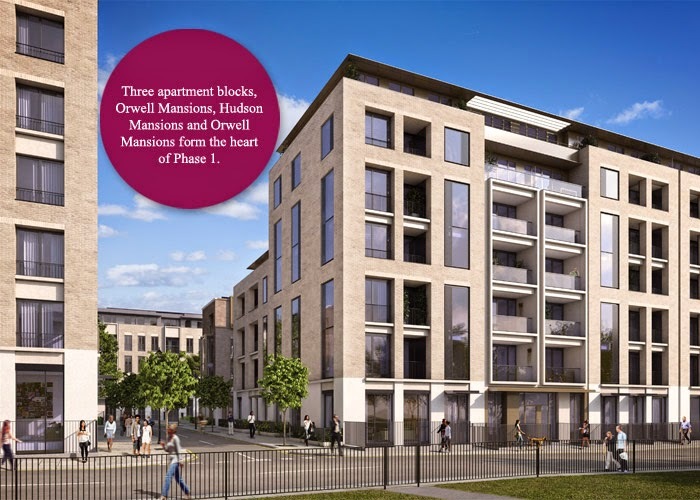 All the Mews houses have been sold and many residents have already moved in. 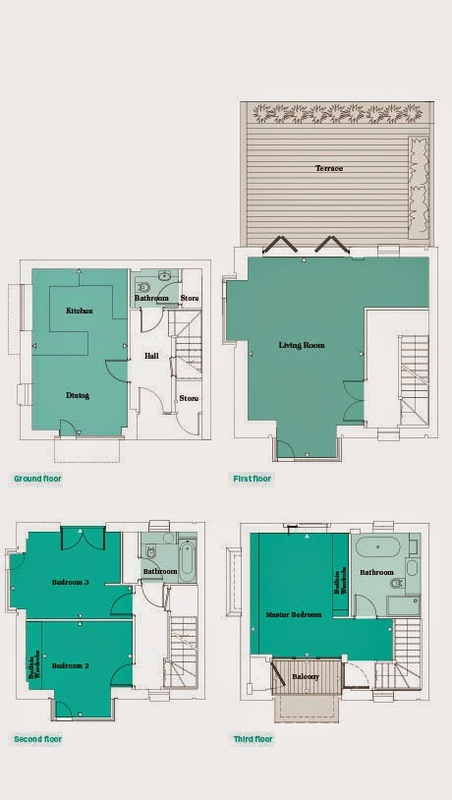 The 16 four bedroom family Town Houses are immaculately designed, and set over four floors. 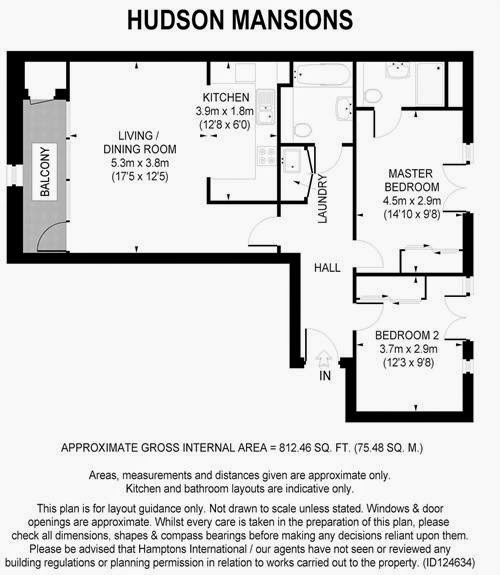 Accommodation comprises three bedrooms, each with a bathroom, a family kitchen/diner, open plan living room with designated study area, and a separate utility space. 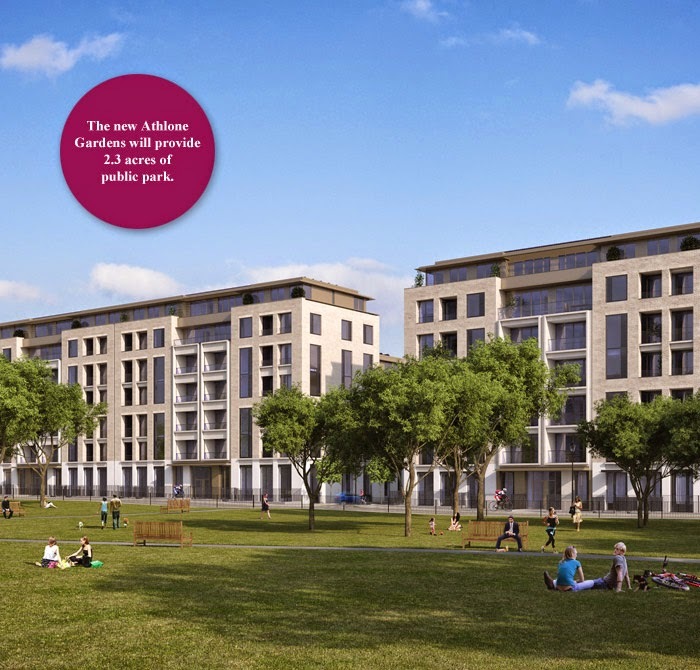 The spacious gardens are attractively planted and provide the perfect backdrop for al fresco dining. 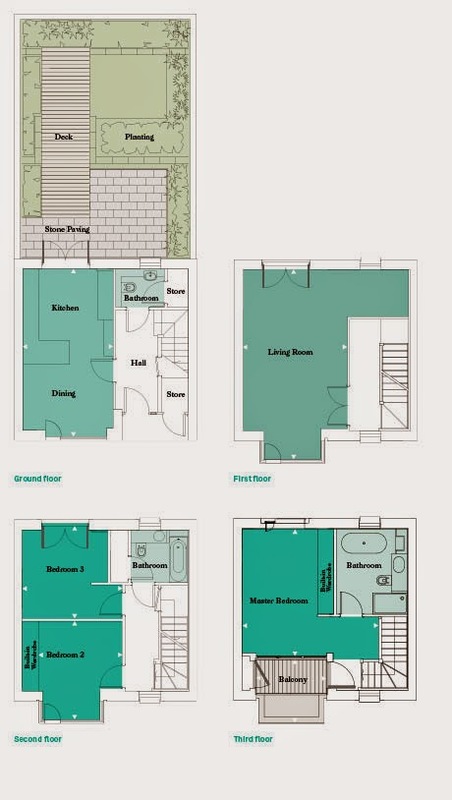 The Town houses are scheduled for completion at the end of Phase 1. 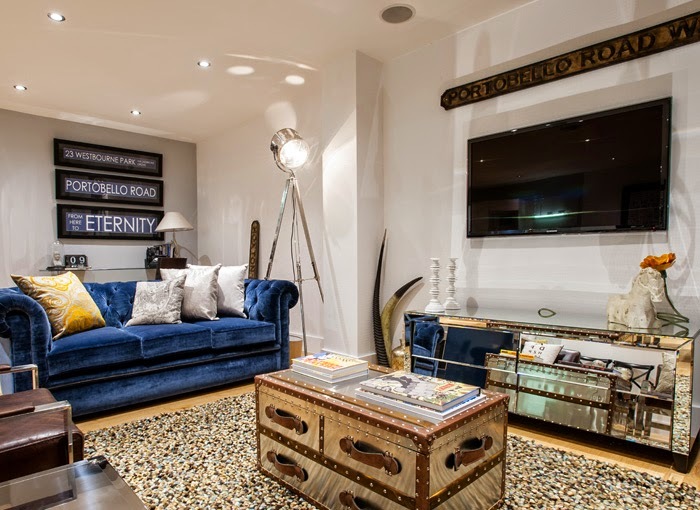 Portobello Square enjoys an enviable location with excellent connections to the rest of London and beyond. 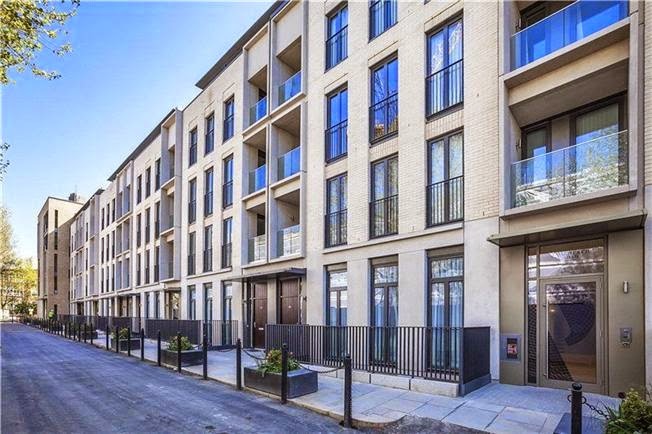 Three tube stations are within walking distance and a good choice of buses swiftly link Portobello Square with the heart of London. 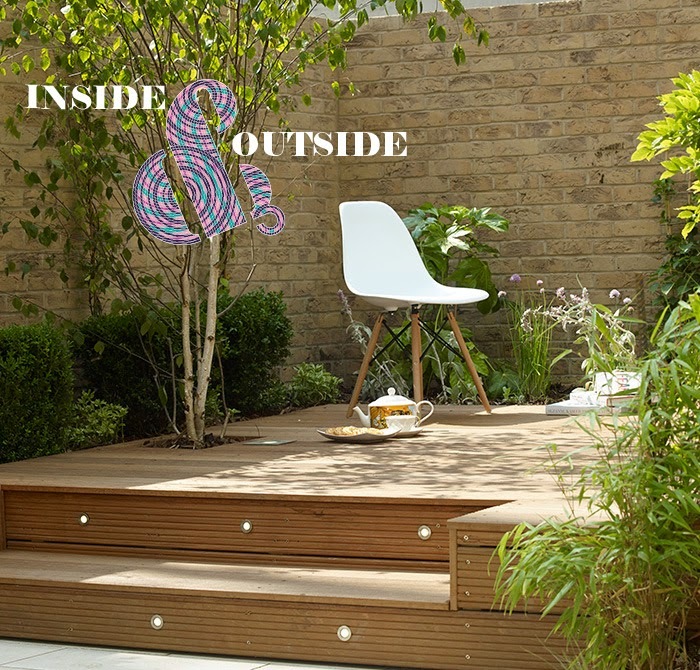 The green spaces of Holland Park, Hyde Park and Kensington Gardens are nearby and Europe’s largest shopping mall, Westfield, is less than 15 minutes away by car or a couple of stops on the tube. 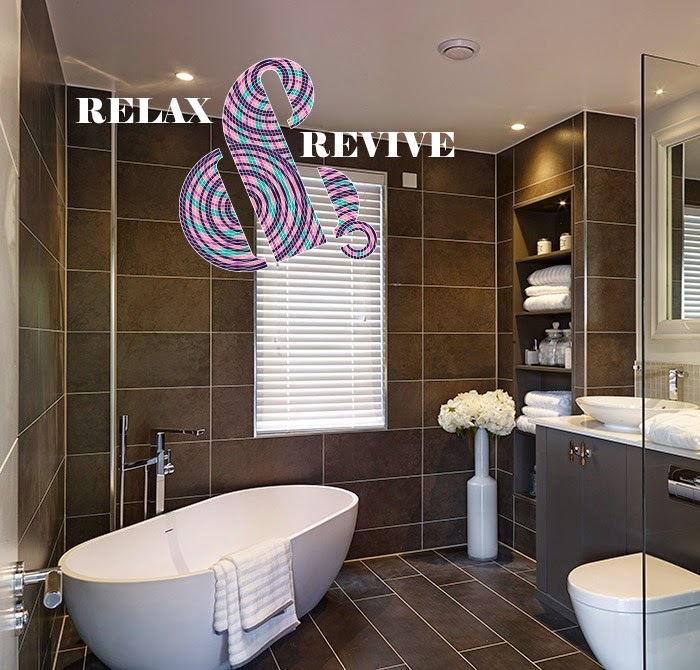 Easy access to the M40 and M4 offers a swift escape from the city. Heathrow Airport is also easily accessible by road or Paddington’s Heathrow Express is just minutes away. Notting Hill Gate is on the Central, Circle and District lines. Ladbroke Grove is on the Hammersmith & City line. 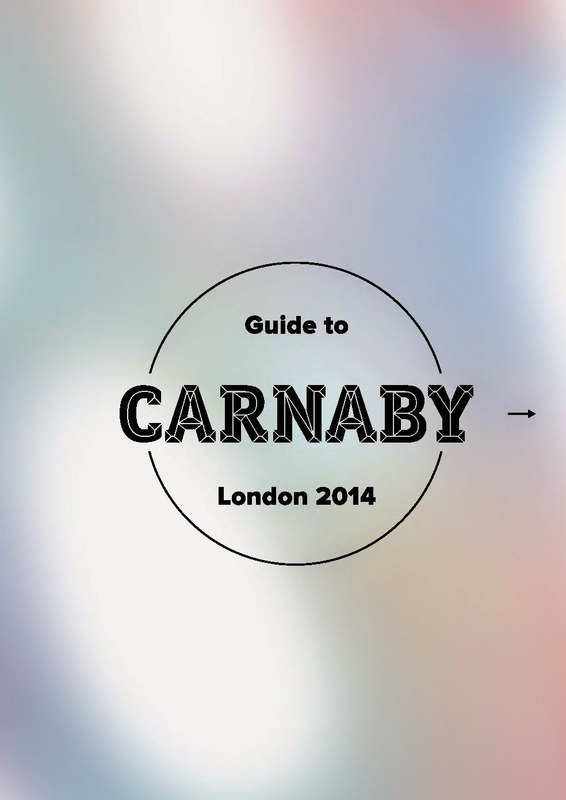 Westbourne Park is on the Circle and Hammersmith & City lines. Paddington Station is a couple of miles up the road with national rail connections and the Heathrow Express. The following buses stop in or near Portobello: 7, 23, 27, 28, 31, 52, 70, 94, 228, 328 & 452. There are five London Cycle hire docking stations nearby, at Notting Hill Gate Underground, Chepstow Villas, Palace Gardens Terrace, Pembridge Road and Turquoise Island.